"Two construction workers were killed when an Amtrak train traveling from New York to Savannah, Ga., Sunday struck a backhoe that was on the tracks about 15 miles south of Philadelphia, Delaware County officials said. U.S. Sen. Chuck Schumer, D-N.Y., told reporters in New York that both workers killed were Amtrak employees." "Richmond Hill, GA (WSAV) – Update: The train is moving again after an about an hour-long delay, and headed to Savannah. An Amtrak spokesperson told News 3 smoke was coming from underneath the train but fire crews did not find anything and sprayed the cars as a precaution. 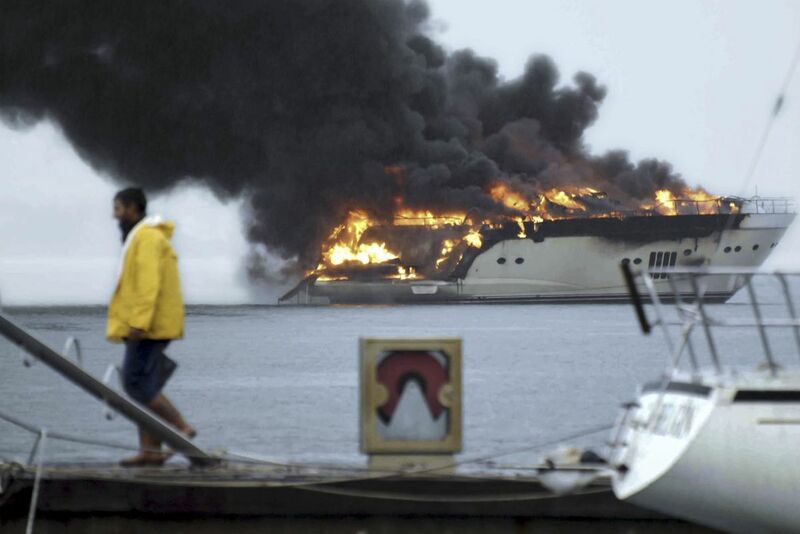 Why Are All These Superyachts Catching on Fire? From St. Thomas to Abu Dhabi, tens of millions in luxury yachts have recently gone up in flames. "It started with a puff of smoke, seeping slowly into the clear and sunny St. Thomas air on a mid-March afternoon. “I went into a meeting, and when I came out, it was very on fire,” recalled Ryan Nichols, who witnessed Positive Energy, a reportedly $2.5 million yacht, go up in flames. The string of yacht fires raises the question: Is there something about these multimillion-dollar investments that makes them susceptible to fire?" "An Australian pilot was among 12 people killed when a light plane crashed into a swamp while landing at an airport in Papua New Guinea, authorities have confirmed. Friends are paying tribute to former Sydney man Benjamin Picard, 31, who was flying the plane when it crashed about one kilometre short of the runway at Kiunga in Papua New Guinea's Western Province on Wednesday afternoon. "Such devastating news Benj. You will be greatly missed," one friend, Matt Smith, wrote on Facebook. "One of the world's biggest gentleman, such a kind caring soul, always putting others before himself. A friend of so many people from so many different parts of the world. RIP you bloody legend." The Department of Foreign Affairs and Trade confirmed an Australian man was among those killed when the Britten Norman-Islander plane crashed about 3pm, local time, on Wednesday." "A passenger train en route from Kuala Lumpur to Beijing, carrying 31 Malaysian crew members and 1306 passengers from 11 nations, has apparently disappeared without a trace less than an hour after its departure." "The train belonging to Keretapi Tanah Melayu Berhad (KTMB), a corporation owned by the Malaysian government, was last seen Monday morning near Tanjung Malim, approximately 70 kilometres north of the Malaysian capital. For some reason that has yet to be determined, the 55-car train never made it to the next station, and the Malaysian government’s search efforts to locate the missing vehicle have yet to produce any result. Malaysia’s Minister of Defence, Hishammuddin Hussein, assured that the search efforts would continue, and that they would now be concentrated over a much larger area than the 2000 km2 on which they had previously focused." An incomplete list of passengers has been made public by KTMB, including a majority of Malaysians, as well as 121 Chinese citizens, 41 Thais, 14 Burmese, 9 Laotians, 7 Australians, 5 Vietnamese, 4 British, 2 Americans, one French and one Canadian." Wow, that is so odd! One can imagine that it should be somewhere near or on the tracks between where it was last seen and its destination. Or maybe there is another track that it got switched to. I guess wherever the train is, there is no cell phone service. This is a real puzzle. 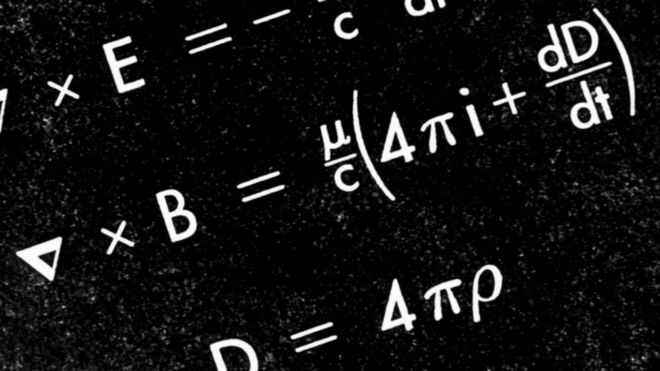 "The lady just looked at me, looked at my writing of mysterious formulae, and concluded I was up to no good. "Because of that an entire flight was delayed." Did anyone notice that the Malaysia train was leaving Kuala Lumpur and headed to Beijing? same as MH 370? "NASHVILLE, Tenn. -- A Delta flight made an emergency landing at Nashville International Airport on Sunday after the flight hit turbulence, CBS affiliate WTVF reported. 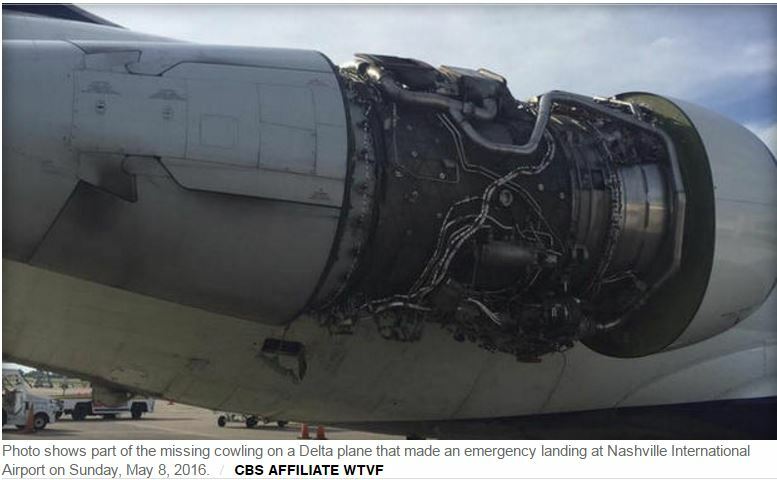 Delta Flight 762 was travelling from from Atlanta to Chicago when it hit turbulence above Cleveland, Tennessee. Engine lights went on at 28,000 feet on the Boeing 717, WTVF reported. In statement, Delta said 109 customers were on board. Photographs showed how the entire cowling came off engine number one on the right side. 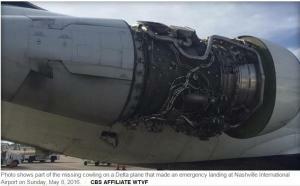 The loose cowling then appeared to have hit part of the fuselage. Delta released a statement on Sunday evening. In the statement they said the aircraft landed safely and taxied to the gate normally. "Delta will fully investigate this episode as the safety and security of our customers and employees is always our top priority," the statement read." Interesting, there's lots of things going on regarding planes. malfunctions,etc. 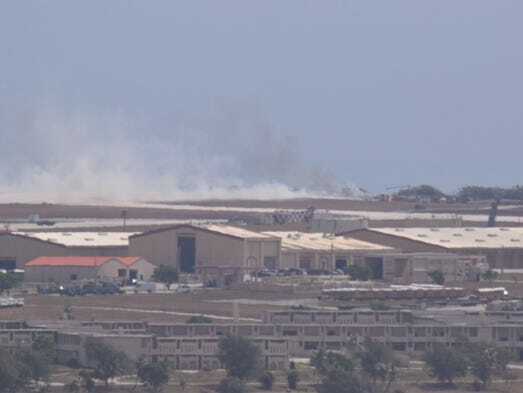 "A B-52H Stratofortress crashed around 8:30 a.m. on Andersen Air Force Base's flight line, the base's public affairs office has confirmed. All seven crew members safely exited the aircraft. No injuries have been reported. Emergency responders are on scene, according to Andersen's public affairs. The B-52 was deployed to Andersen from Minot Air Force Base, in North Dakota, as part of the military's continuous bomber presence mission in the Pacific. The crew members are from the 69th Expeditionary Bomb Squadron and were performing a routine training mission, according to Andersen. The incident is under investigation and measures to mitigate possible environmental impacts are being taken, Andersen stated. More information will be released as it becomes available. It's the second crash involving a B-52 in Guam in eight years. In July 2008, a B-52 crashed into the ocean about 35 miles northwest of the island, killing all six flight crew on board, according to an Air Force investigation report." "Two of the US Navy’s F/A-18 Super Hornet fighter jets have crashed off the coast of North Carolina on Thursday, the US Coast Guard confirmed. Their crews have been recovered and taken to a hospital. Four people have been recovered and taken to the Sentara Norfolk General Hospital in Norfolk, Virginia, the Virginian-Pilot reported citing Coast Guard Petty Officer Fagal Nifin. Nifin said the extent of the crew members’ injuries is “unknown.” One of the crew had a leg injury, reported WCTI. Search and rescue teams were deployed to the Oregon Inlet area, 25 miles off the North Carolina shore, after reports of two planes colliding around 10:30 ET, according to Norfolk’s WBEC. Coast Guard officials in Elizabeth City told WCTI that the planes involved were from the Naval Station Oceana in Virginia Beach, Virginia. A fishing vessel reportedly assisted with the rescue." Let's put emphasis on the fact that a commercial fishing boat was able to immediately locate these crashed fighter jets and rescue all involved. This, as distinguished from a commercial aircraft potential explosion in air and/or crash into a sea occupied by numerous sea vessels conducting war training exercises where they pretty much haven't found jack. "No new radio signal has been received from an EgyptAir jet since the day it crashed in the Mediterranean Sea last week, sources close to the investigation told Reuters on Friday. "There has been nothing since day one," a source familiar with the investigation told Reuters." The Airbus A320 crashed on May 19 with 66 people on board. A French vessel carrying specialist probes designed to detect black-box pinger signals arrived on Friday at the search zone, sources on the investigation committee said to Reuters. The vessel contains equipment from ALSEAMAR, a subsidiary of French industrial group Alcen, that can pick up black-box pinger signals over long distances up to 3 miles, according to the company's website." Egyptian authorities have confirmed a distress signal was received from EgyptAir flight 804 when it crashed in the Mediterranean with 66 people on board. A US official from the National Oceanic and Atmospheric Administration (NOAA) also said an emergency beacon was picked up by satellites minutes after the airliner disappeared from radar on 19 May as it flew from Paris to Cairo, according to reports. A posting on Egypt’s State Information Service website said investigators had “received satellite reports indicating receiving an electronic distress call from the plane’s emergency locator transmitter (ELT)”. The co-ordinates were being used to narrow down the search area, the statement said. The plane disappeared from radar screens at 2.29am local time and the Bloomberg news agency, quoting Lieutenant Jason Wilson of the NOAA, said an ELT on the plane began transmitting at 2.36am local time. The signal was picked up by five satellites, triggering an alert to a ground station in Cyprus that confirmed the identity of the Airbus A320 and narrowed the possible crash area to about three miles. A ground station in Maryland, US, also received “two bursts” from the satellites but not enough to pinpoint the beacon’s location, Bloomberg said. Investigators have said it will be more than a week until they can recover the plane’s “black box” flight recorders when a ship capable of retrieving them arrives in the Mediterranean search zone, but teams are continuing to search for the wreckage in the meantime. The flight recorders have enough battery power to emit signals for four or five weeks." <<<< WHAT?? Are you as confused as I am, or is it just me? kandescent where are you?? LOL input, input!! We were told of a large military exercise(Phoenix) going on in the Mediterranean Sea at the time this plane went down, right? Wonder if they were testing any new weapons?? Last night, I was listening to a you tube with Dr. Richard Allen Miller, from 2014. At about 12 minutes in, and on for a couple, something in regard to MH 370 was mentioned. Military exercises, new weapon testing going on at the time MH 370 disappeared. China testing a laser heat cannon. I had no clue as to why I was even listening to that program, and now this today about MS 804. Strange, and very similar to MH 370 circumstances. Did I stumble onto something? RAM also mentioned the CHANI project, yes, surprised was I, at about 1 hr 27 or so in. Here is that video. I read a little about the ELT signals, which are different from the signals that comes from the black boxes. Apparently the ELT signal is triggered by G - forces or impact. Also can be manually triggered. The article I saw last week, I could swear, said the EgyptAir plane had four different ELT. It seems they may only emit a signal for up to 48 hours. However, when they do emit signals, the satellite immediately picks it up and the data is immediately forwarded to wherever such info gets forwarded. I am of the impression that a signal was received that did pinpoint the location. I mean, these are all of the mainstream news agencies reporting it. I even saw a Wall Street journal article reporting it. I haven't seen any retractions, or much other reporting about the plane. I don't know how they can go back and disclaim that a signal was picked up. They aren't even saying that it was a signal from another beacon. That would apparently be a valid claim since there seem to be false positives on the ELTs. And, yes, they are running out of time on the black box beacons. No update on the electronic submarine they were sending to search for it. Also, what about sonar devices. I know the military has plenty of those. I still don't know how the can find underground artesian springs and such with satellites but cannot find a plane underwater. And, hey, at least this one is limited to the Mediterranean and not somewhere in an ocean. I just don't know, breezy. I can't even begin to figure out how to sleuth this one. But it is clear that things are not on the up and up. Has anyone seen a released passenger list? Mighty strange. Here's an article with profiles on the crew and a few of the passengers. There could be a list out there somewhere. This article says EgyptAir would not release names until family members had been contacted (which is fair). So maybe they have released the names by now?? Remember when there used to be investigative reporters. I think the only ones left are a few local reporters investigating local things. Though I suspect that the media companies would only report what they are "allowed" to. "Shoebat.com was able to obtain the crew list and the names of every passenger on the Egyptian flight downed yesterday. The pilot was Mohammed Said Shaker and his co-pilot was Mohammad Ahmed Mamdouh Ahmed Aassem. Passanger include: Marwa Hamdy, Nasr Hamad, Mansour Khalid Hussain, Riham Musaad Ali, Othman Rishar, Sawsan Khudair, Mahmoud al-Sayid, Mohammed Ziyadeh, Jalal Ziyadeh, Amal Zaineddin Dawood, Farraj Mohammed, Abdurabuh Islam Ahmed Hilal, al-Shadli al-Shadli, Ahmed Tayil, Amjad Arjento, Muna Hamdi Shabaneh and her son Ismaeel Raafat Shabaneh. @EagleWings, if you go to that link, I posted w/the list, it appears there were persons of interest on it. SMYRNA, Tenn. (WKRN) – A pilot was killed after a U.S. Navy Blue Angels jet crashed Thursday afternoon in Smyrna ahead of their weekend airshow at the city’s airport. The F/A-18 aircraft crashed at 3 p.m. near Weakly Lane, about 2.5 miles from the Nissan manufacturing plant, while practicing for the demonstration. The U.S. Navy confirmed the pilot died in the crash. The name of the pilot is being withheld pending next-of-kin notification requirements. The crash occurred just hours after an F-16 belonging to the Air Force's Thunderbirds demonstration team crashed just outside Petersen Air Force Base in Colorado Springs, Colorado. The pilot was able to eject safely in that case. The Thunderbirds had just participated in a flyover of the Air Force Academy's graduation ceremony, attended by President Barack Obama. The president later met with the F-16 pilot involved in the crash. Just came here to post these. Good job, what's the chances, two in one day? "The doomed EgyptAir plane that plunged into the Mediterranean last month with the loss of 66 lives was forced three times to turn around after taking off and return to three different airports in the 24 hours preceding the crash, reports say. But it will be at least a week before a specialist vessel carrying robots able to dive to 3,000 metres will arrive to help retrieve the devices in the crash area that lies around 180 miles north of the Egyptian port of Alexandria." It would seem to me that there are people who flew on flight MS804, in that previous 24 hour pre-crash time period, right? I would think any one who did take that flight prior to the crash, is very aware that they were on it. How about someone contact any of them, and ask if their flight had to return to those airports due to aircraft malfunction? Not only that, wouldn't there be actual airport records to prove that allegation? I know it could take some time, but IF that plane had returned for those reasons, it then makes EgyptAir liable. If military planes are going to crash from "engine failure" - it would NOT be from any of these....this has nothing to do with "old equipment"
It's as though they really didn't happen, isn't it? And on the same day, yet silence.